How Do I Develop a Killer Workout Routine? Congrats. If you are asking this question, it means one thing--you’ve been working out pretty darn regularly. And now, you’re looking around and thinking about how you can get the most out of your time. Maybe you’ve seen a couple of your gym’s killer athletes just really owning some of the equipment, and you feel like getting there yourself. First of all, you have to understand the key to the perfect workout, and that key is all about you. See our first point for details. Ask yourself this question: what do you want out of your workout? Initially, when you got your membership at the gym, be it a flexible gym membership or gym day pass turned permanent, you no doubt had an end goal in mind. We ask you now to return to that goal. Did you want to cut down a couple clothing sizes? Did you want to beef up? Or did you want to just become toned and athletic looking? Maybe you just felt that your body was getting weaker, and you wanted to combat that issue! Once you answer this question, you can skip to your solution in our guide below! You guys are into the big guns. You want to look powerful. Maybe you’re interested in getting into a crazy sport like wrestling; maybe you want to feel confident that you could win any spur-of-the-moment arm wrestling challenge, or maybe you just want to look really good in your clothes. If this is the case, you’re going to want to spend most of your time in the weight lifting room. Obvious, right? But when you’re working out your muscles, it’s important to focus on all of your muscles. If you spend 90% of the time on your biceps, and completely ignore your triceps (the muscles on the underside of your arms) you are just asking for an injury. The imbalance in your muscle strength can cause muscle tears to occur that will not only be painful, but will also prevent any further workouts for a while. In addition, start out your workout with just a little bit of cardio, and then advance to the weights. Getting your blood flowing and heart pumping will prep your body for your intense weight lifting. Also, bring a spotter with you. The more intense and heavy your weightlifting workout routine becomes, the more risk you take in letting something slip. A “spotter” can also encourage you to go further and lift more than you would on your own! Workout Slay for Those Who Want to Lose Weight! Weight loss and cardio are best friends. You’ll burn more cardio in an aerobic type of activity than in any other type of exercise routine. So, if weight loss is your goal, stick mostly to aerobic exercises! One quick secret, the more you find yourself sweating, the more calories you are probably burning. Use multiple machines during your aerobic workouts to work out various areas of your body! Maybe start on the treadmill, but then hit up the elliptical and the bikes to work out other areas of your body. The elliptical is one of the best machines out there for cardio, calorie-burning workouts because it puts your entire body to work! So you may want to linger on that for a while longer than most other machines. While you want to focus on your cardio, do hit up some of the weight-training machines as well towards the end of your workout sessions. Building muscle strength will help you during your cardio exercising and will also help your body look more smooth, athletic and toned! If the end goal is to try to look good, then don’t ignore those machines that work out your legs, arms and abs! Anybody Just Here for Health Reasons? Once you know exactly what part of your body could use the most attention from health perspective (heart? back? lung capacity? ), you can tailor your workout to meet those exact needs. Have maybe one of two sessions with a personal trainer. 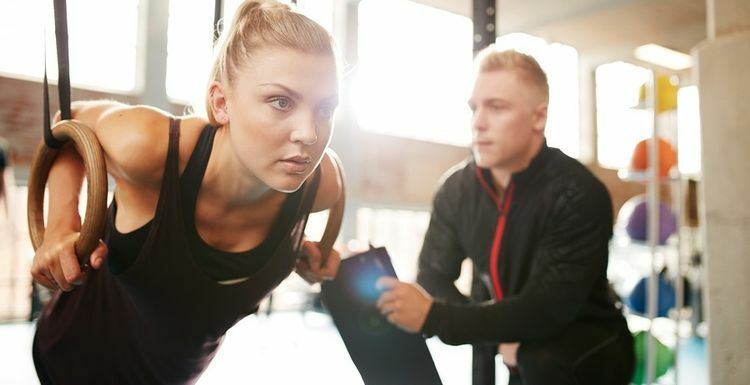 You can share with them your fitness goals, and your trainer can point you in the direction of machines at the gym that will best help with those goals (a trainer could also show you how to use the said machines if they are less-than-easy to figure out for the common man). All in all, if your goals are just overall health-related, you can never go wrong with 3 sets of intense 20-minute cardio sessions per week! Get your blood pumping and those muscles working!